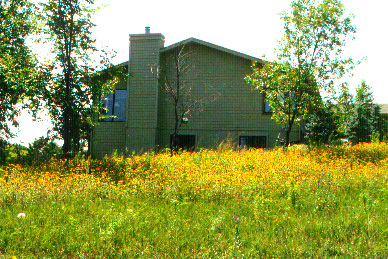 Our staff seeded 2 acres of prairie grasses and wildflowers for this acreage. Two years later the house's main selling point was it's natural landscape. The seller sold the house for more than it was listed.